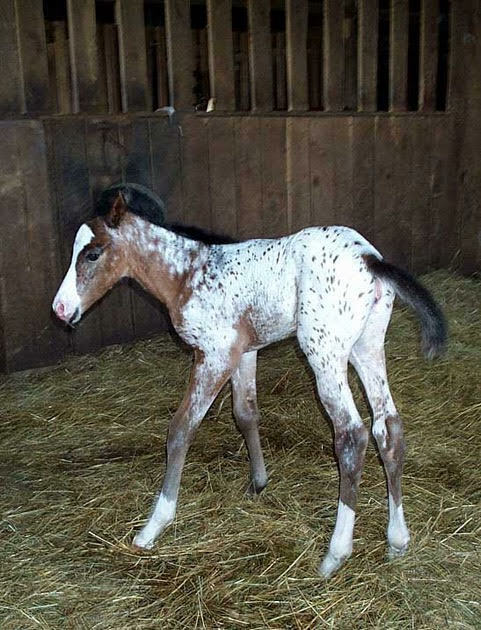 Baby Sage was born at Palisades Appaloosas in 2005, and was the daughter of our first appaloosa stallion, Nuggets Super Shado (Zeke), and our first appaloosa mare, KK the Dream Begins (Peaches). 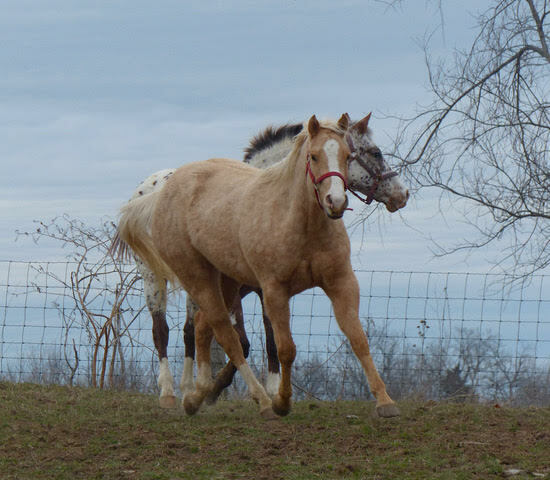 Zeke and Peaches are coming 20 years old, and Sage was gifted to us by her owner of 12 years, here in Kentucky. 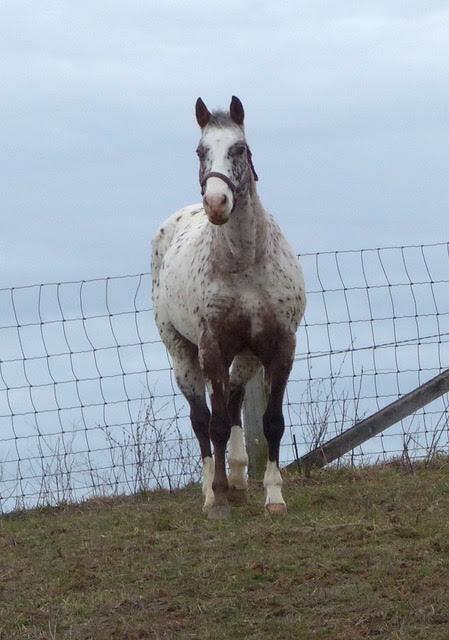 We were very pleased to have her home. 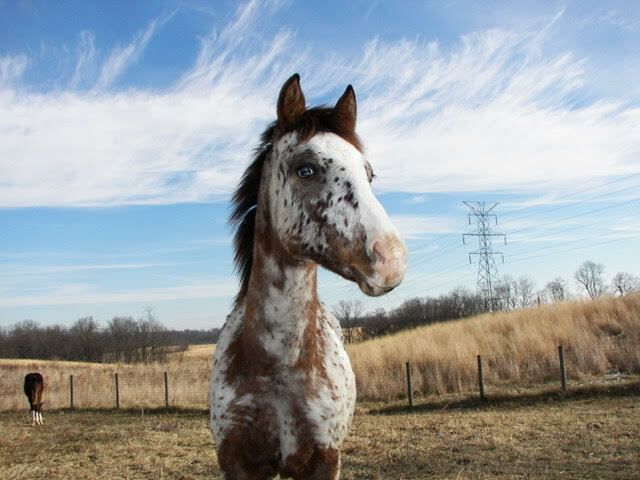 At 13, she gave us her first foal to Dreamin Dun, a black bay fewspot with blue eyes! 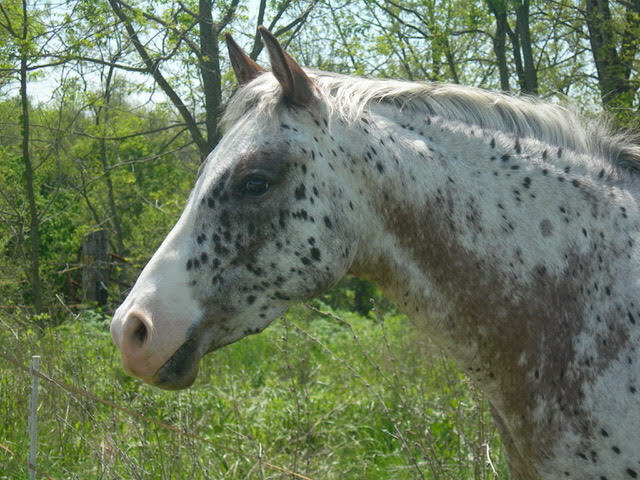 She is a beautiful mare of 15.1 hands with a broad chest and large frame. 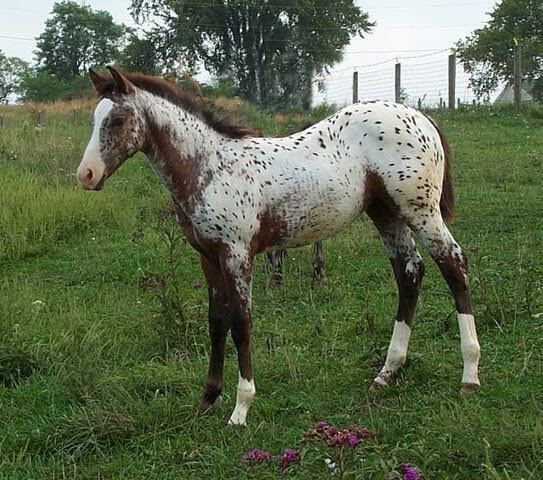 She is a homozygous black bay (EE) with two genes for leopard pattern as well. 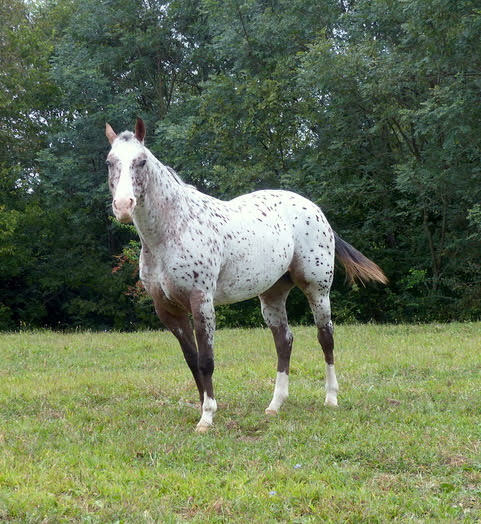 (PATN1) She is 83% Foundation Pedigree Designation. Sage is n/n for HYPP and PSSM1 by her parents' negative status. 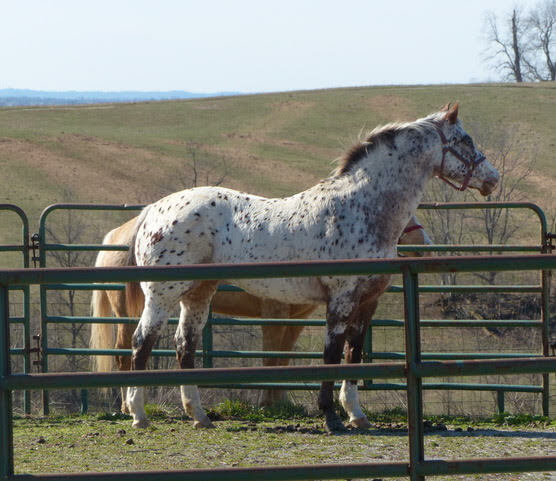 This year Sage is in foal to Twilight Reemarkable. 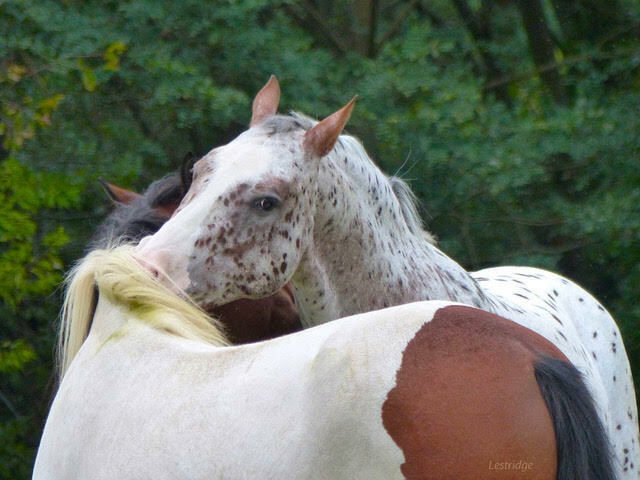 Sage and Markus are both homozygous for black and leopard pattern. 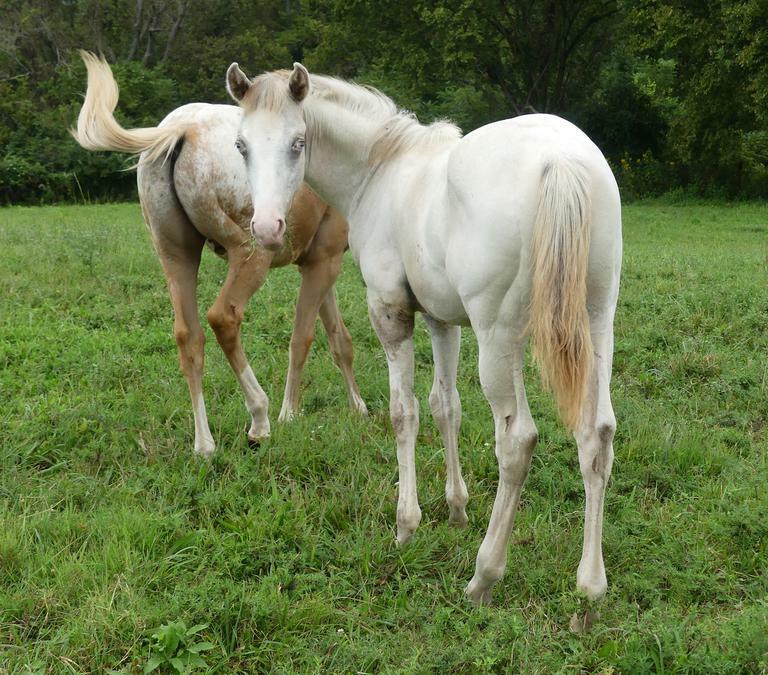 Their foal is guaranteed to also be EE PATN1/PATN1. 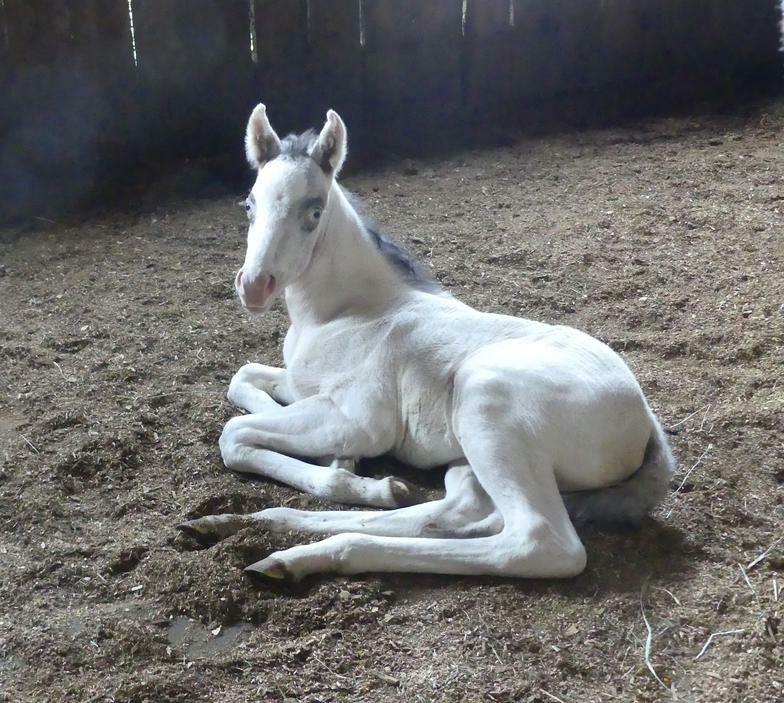 Hadar Diamond, 2018 bay fewspot colt by Dreamin Dun.